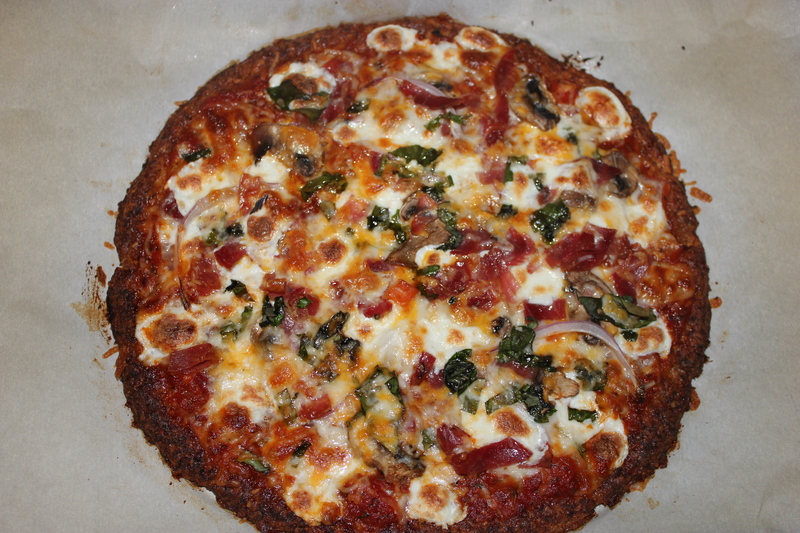 The perfect cauliflower pizza crust. 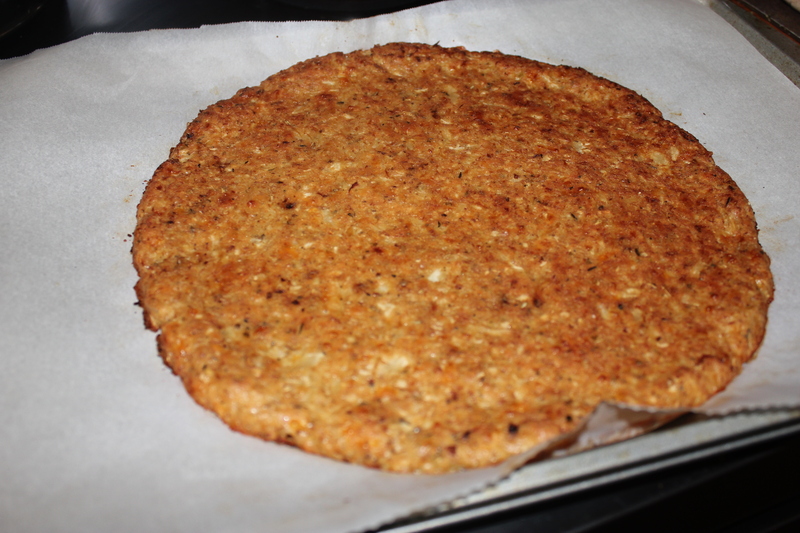 If you like thin crust pizza then you will love this Gluten free version using cauliflower to make the crust. 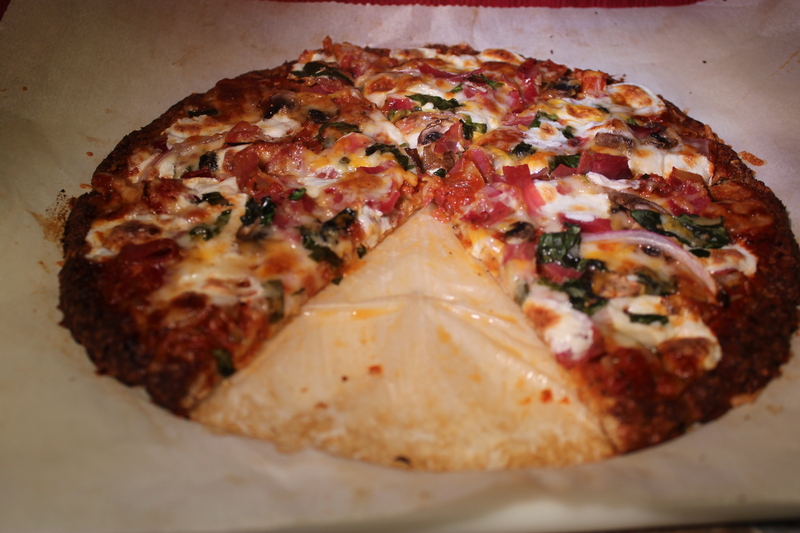 It is packed with flavor and thanks to the addition of hard cheeses the texture mimics a normal thin pie crust well. You can pick it up, fold it and eat it just alike a great NYC slice of pizza. It has the strength to hold a number of toppings and still be picked up. There is a crispness to the outside that gives an amazing mouth feel, the garlic and herb pack it with flavor. This may be your new go to pizza. It is also a great way to sneak veggies into a child or fussy adults diet. 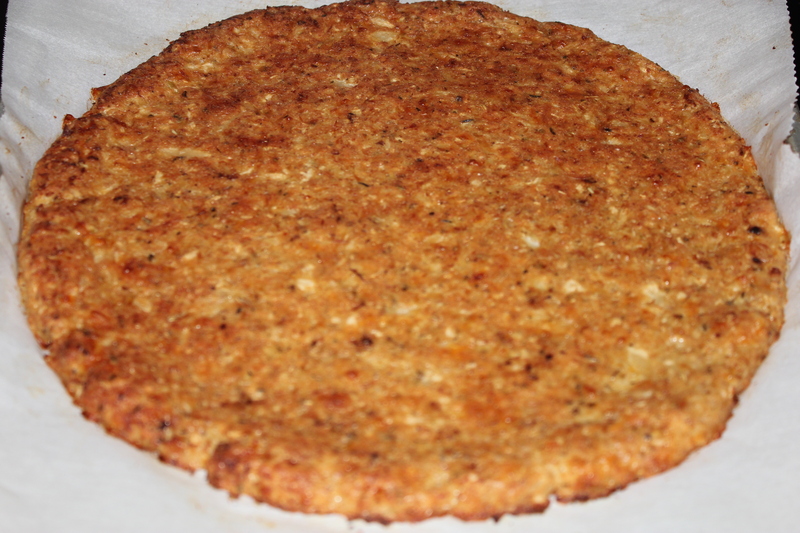 Even a person who does not like cauliflower will love this pizza. 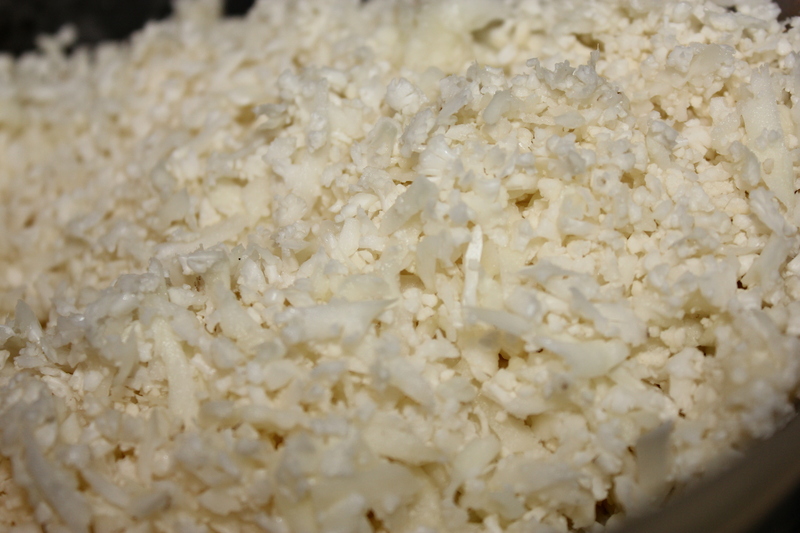 ** To make your own grated cauliflower, place cauliflower florets into a food processor and pulse until it is the size and texture of rice. 1. Preheat oven to 400°F and line a baking sheet with parchment paper. 2. Place grated cauliflower into a large sauté pan over medium heat, sprinkle with salt and cook stirring often until most of the moister is cooked off. About 6 to 8 minutes. Remove from heat and allow to cool. 3. Crack the egg into a large bowl, add Garlic, Italian seasoning, fennel seed and rosemary. Whisk together well. 5. Pour the Cauliflower mixture onto the center of the baking sheet. 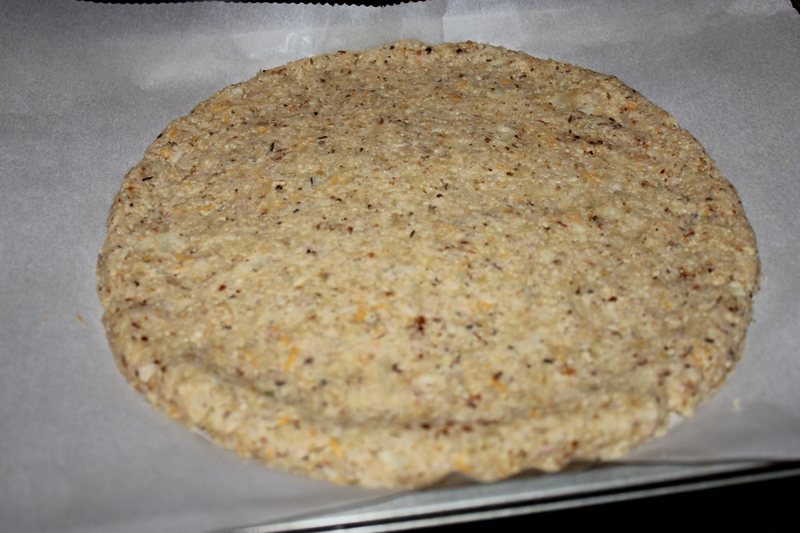 Form into a ball and press into a ¼ inch thick circle similar to a pizza crust. 6. Place into the oven and bake for 18 to 20 minutes or until Golden brown. 7. Remove from oven, top with desired toppings and place back into the oven for another 8 to 10 minutes or until toppings are cooked to desired texture and color. 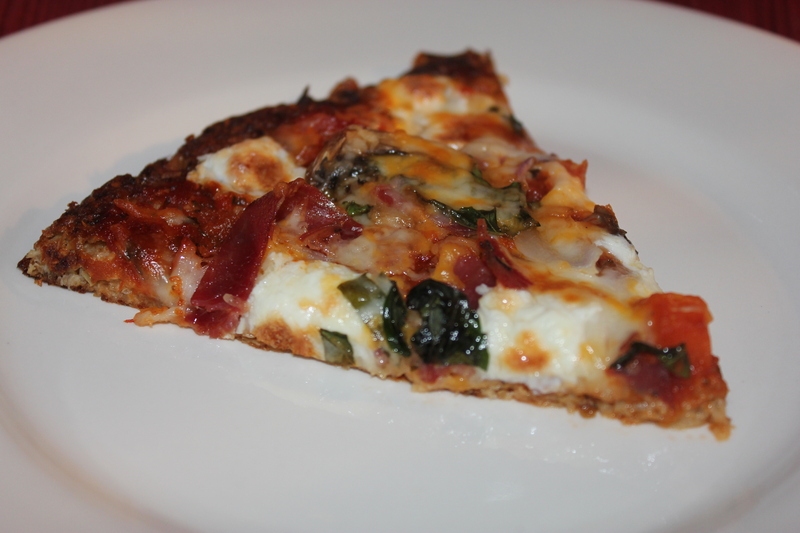 I topped mine with Pizza sauce, Mozzarella cheese, Julienned bell pepper, Onions, Capicola, mushrooms and fresh basil. Cook time: 32 to 8 minutes. Makes 8 slices or four servings. I’ve been selected to compete in the @barillaus competition presented by @chefsroll ‪#‎BarillaPastaPerfect‬ ‪#‎chefsroll‬ ‪#‎rollwithus‬. 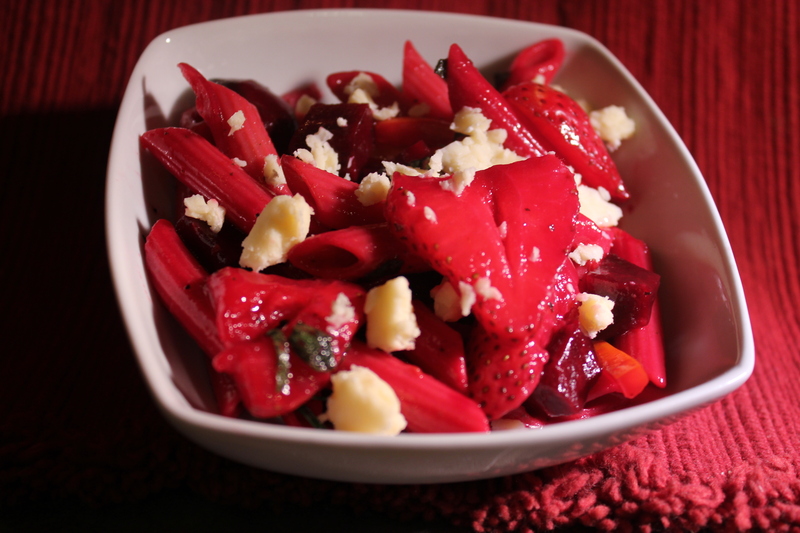 With Summer being around the corner I created a recipe that works great at BBQ’s and picnics as well as a wonderful every day side dish or lunch. With Whole Grain Pasta and bright red vegetables and berries this is a very healthy dish, and although it tastes like a guilty pleasure it actually is something you can feel great about eating. Tastes great, looks great and is great for you. I created this for the Barilla Competition and I will be sharing the details of the great recipe with all of you very soon.